The school is located in the MacPherson Subdivision in a rural setting. The students are bussed from a large catchment area that includes the Alaska Highway North as far as Mendenhall and the North Klondike Highway (Mayo Road) as far as Fox Lake. It also includes the Ibex Valley Hamlet, Hot Springs Road, Pilot Mountain Subdivision, Hidden Valley Subdivision, and MacPherson Subdivision. At the school the goal is to ensure that every child in the school is valued as an individual and the aim is to develop each pupil academically, spiritually, morally, physically and socially. As children progress through the school, the school’s team of experienced and dedicated staff plan meticulously to deliver a stimulating, exciting curriculum for the pupils in their care. They also offer an extensive program of extracurricular activities. This is a K to Grade 7 school with a total of 89 students. 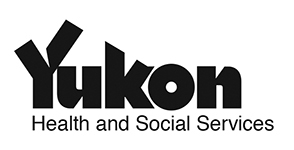 For more information about this school visit hve.yukonschools.ca. Hidden Valley has a regular breakfast program that serves about 8 to 10 students per day. They also have morning and afternoon snacks and lunches available for any students that need them.